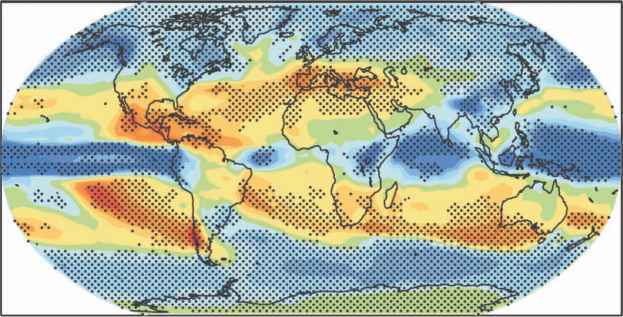 The latest climate science paints a picture of increasing temperatures (likely to be in the range of 2-4°C to 2100), and a complex change in rainfall regimes across the globe, with some regions experiencing drying and others significant increases. There is far less certainty about changes in rainfall patterns compared with the relatively high certainty of temperature increases. The jury is still out on the likely impacts of climate change on hurricane events, but there is more certainty of increases in extreme climate events such as droughts, floods, hot days and high intensity rainfall events. The impacts of these changes on crop productivity are likely to be negative. While moderate increases in temperature may bring about moderate increases in productivity, beyond 1°C of warming the literature tends to agree that impacts will be negative. However, possible CO2 fertilization effects may cancel out these losses, although significant debate exists as to the extent of CO2 fertilization to expect. The high degree of uncertainty in climate projects for many land areas makes the modelling of impacts on agriculture difficult and produces contradicting results. Research should be focused on assessing impacts for those areas in which a relatively high degree of certainty is present in projections. Regional forecasts are needed. A new generation of both GCMs and RCMs is required in order to improve precipitation forecasts and other Earth processes that may influence agricultural production. In the meantime, however, impact assessments should focus on mid-term forecasts in order to reduce the propagative errors in future climate projections. In terms of enhancing our understanding of the likely CO2 fertilization effects, large-scale and long-term FACE experiments with a focus on tropical and boreal ecosystems are needed. A study of multiple, interacting factors on production systems would help to develop response surfaces of the impacted system to identify thresholds and/or tipping points. Systematic pest and disease mapping and monitoring will support a greater knowledge base for evaluating the impacts of climate change on pest and disease dynamics.